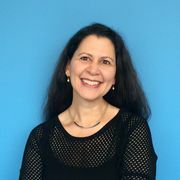 Melissa Block is the longtime host of NPR’s afternoon newsmagazine, "All Things Considered." In her reporting travels for the program, she often manages to sneak food stories past her editors, whether it means donning a chef’s hat to learn how to stir fry authentic Kung Pao chicken at a top cooking school in Sichuan, China, or getting the secret to a perfect tapioca pancake from a street vendor in Brazil. The first dish she remembers making was a Funny Bunny Salad, involving half a canned pear, banana ears, a couple of cloves, and a cottage cheese tail. It rocked. Melissa eats everything but green peppers and anchovies. She lives with her husband, writer Stefan Fatsis, and daughter Chloe in Washington, D.C.
First, a confession: I’m exclusively a weekend cook. There, I’ve said it. Though my shelves full of well-thumbed cookbooks collected over many years might lead you (and my husband) to think otherwise, my kitchen time is -- sadly -- limited to a few precious hours on weekends. Which is to say, the cookbook that piques my interest most will be one that meshes nicely with the schedule of someone who doesn’t have tons of time to plan, shop, chop, and stir, much as she’d like to. I’m looking for recipes that will keep me coming back again and again. Bonus points for photographs that make me hungry and text that gives me a good sense of the cook behind the book. 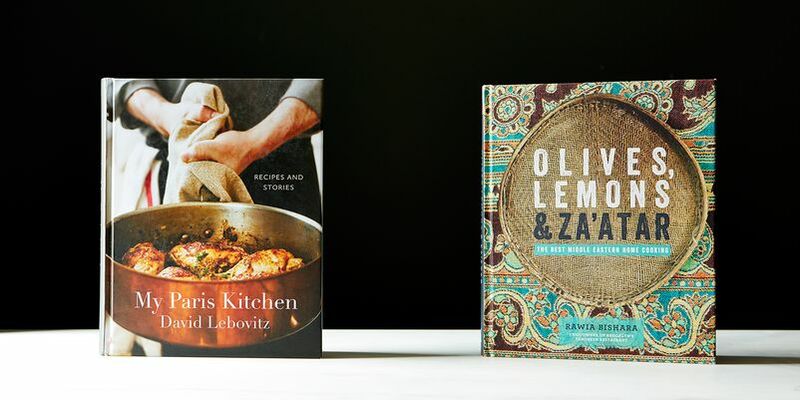 With that as caveat and preamble, let’s explore these two books: Olives, Lemons & Za’atar by Rawia Bishara, and My Paris Kitchen by David Lebovitz. Lucky me! I love all of these things: olives, lemons, za’atar, and Paris. I decided to make Bishara’s Chicken Tagine -- “the Tanoreen version of the iconic Moroccan dish” -- which incorporates a lot of the things I love: dried fruit, aromatic spices, tons of fresh herbs, and slow cooking. You rub the chicken pieces in a spice mix including allspice, coriander, turmeric, cumin, saffron, nutmeg, and cardamom; sear the pieces in oil; sauté onions and garlic; stir in big handfuls of chopped cilantro, basil, and parsley; add dried fruit and lots of lemon juice; and then bake the whole shebang over sliced potatoes, carrots, and pearl onions. This is a dish that cries out for a sous-chef to share chopping duties, which are many and time-consuming. I balked at using the designated full cup of olive oil to sear the chicken; I probably used about half that. In the end, the cooking time was out of whack: When the chicken was done, the potatoes and carrots were still hard. Also, the double starch of serving a tagine cooked with potatoes over rice seemed odd. It was a fine dish but not spectacular, considering the labor involved, and a bit of a mess on the plate. I liked it more than my family did. I see the words “brussels sprouts” and I say “yes, please, and lots of them!” so Bishara’s recipe for Brussels Sprouts with Panko was a must-make. These are pan fried in oil, then topped with a tahini/yogurt/pomegranate molasses sauce and sautéed garlicky bread crumbs. What’s not to love? The sauce is utterly delicious and addictive. I’d happily put it on salad, toast, ice cream -- heck, I’d put it on my toothbrush. I’ll absolutely come back to this recipe, with some modifications. First, I challenge you to get a halved brussels sprout soft enough to eat after just two to three minutes on the stove, as instructed. Maybe I didn’t use enough oil. Maybe my stove doesn’t get as hot as hers does. But that strikes me as impossible. Also, if you were to drench the sprouts with all 2 cups of the tahini sauce she calls for, they’d be swimming in it. Ditto for the breadcrumbs. Proportions seem to be a problem. But Bishara’s Lentil Noodle Soup with Greens was a winning recipe, a delicious and earthy thick soup packed with spinach, kale, and fettuccine, and zinged with lemon. Our 12-year-old daughter gave it an enthusiastic thumbs up, and insisted that this soup make it into regular rotation in our house. It will. Here’s the problem: There aren’t a lot of other recipes in Bishara’s book that tempt me. I don’t need another recipe for hummus or tabouleh. Lots of her recipes require you to make another recipe elsewhere in the book as a key component. I don’t like bouncing from chapter to chapter; that’s pretty much a deal-breaker for me. Also, I found inconsistencies and sloppiness that don’t inspire confidence. For example, a lamb dish mistakenly calls for chicken. A recipe for seasoned garlic sauce says it can be refrigerated for one month, but a few lines later says “up to 1 week.” Another recipe appears in the book twice -- identically -- once as string bean and tomato stew, and again later as sautéed string beans. Finally, a plea from all of us whose eyesight isn’t what it used to be: Cookbook designers, please swear off the delicate pale and tiny typeface! When I’m cooking, I really don’t want to squint. 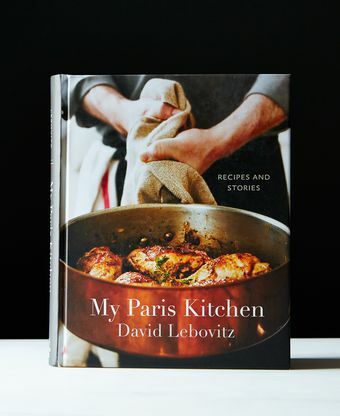 While Olives, Lemons & Za’atar is a loving reconstruction and reimagining of the foods of Bishara’s childhood, David Lebovitz’s My Paris Kitchen is his tribute to the foods of his adopted home, where he’s lived for more than a decade while blogging about his culinary adventures. Before that, he was a professional chef and baker for many years in the Bay Area, including some 13 years at Chez Panisse. This is a chatty book -- the subtitle is “Recipes and Stories,” after all. We learn about Parisian heat waves, Lebovitz’s quest for a big sink, his deeply lamented cookbook collection lost in transatlantic transit, his first restaurant job (at a “sirloin pit” chain in a strip mall), his crush on the sausage vendor at his market, and much more. He is an entertaining and breezy host on the page, as I imagine he is in person. And his vivid descriptions transport you to the bistros and market stalls of Paris, where he fills his basket with redolent cheeses or spatchcocked rotisserie chicken so delicious he can’t help tearing off and devouring the crispy skin as soon as he’s in his front door. “Anyone who tells you that people in France don’t gain weight,” he writes, “doesn’t live within walking distance of a good rotisserie chicken stand.” Gorgeous photographs by Ed Anderson accompany many of the recipes. On first read, I dog-eared page after page of recipes I was eager to try. Counterfeit duck confit! French onion soup, gooey with Gruyère! A simple winter salad of endive and Roquefort! So far, I’ve made none of those (but still plan to). I was too busy making his version of the classic café sandwich, the croque-monsieur, which was a revelation: a thin smear of rich béchamel binding the grilled bread to melting Comté cheese and salty ham. Fantastic. So fantastic, I made it two days in a row. Lebovitz’s buttery and sagey butternut squash crumble was a hit (if maybe more American than French). Ditto the green beans with snail butter (no snails involved, just massive amounts of butter and garlic). And everyone swooned over his salted butter caramel-chocolate mousse. You may notice a theme: lots and lots of butter. This is not a book for the literally faint of heart. And the recipes I chose were simple, straightforward ones. I didn’t tackle Lebovitz’s cassoulet, a three-page endeavor (plus a two-page introduction), or his 14-step Bûche de Noël. But I know I’ll be coming back to this book again and again. Lebovitz accrues demerit points for numerous, cringe-worthy mistakes with the French terms he sprinkles throughout his text. There are so many that I (full disclosure: French major and former proofreader) stopped flagging them: wrong noun genders, misplaced accents, misspellings. Violà instead of voilà? Dude! You’ve lived in Paris for more than a decade! You have a French partner! Copy editor, où êtes-vous? Still. I’ll forgive. Gaul wins. Are the books chosen with the authors' permission? I received My Paris Kitchen as a birthday gift and never cracked it open until now, seeing it was going to be reviewed. I love it! The cover picture of the Mustard Chicken also drew me in. I haven't tried any recipes yet, but I will definitely make the Asparagus in Snail Butter this spring. Ha! I don't know French, but I'm sure I'll notice that Viola when I come across it in my copy. I appreciate that you illuminated a different aspect of cookbook quality here that hasn't come up yet in the tournament. Thanks, Melissa, and congrats, David! Great review and I think a great effort with recipe trials, especially for the time limitations. I have had My Paris Kitchen for a few months and can't wait to get into it. I love rustic French classics, it's my idea of comfort food. Great review! Love My Paris Kitchen! Every recipe I've made so far (cooking my way through the book) comes out right, every time. How cool is that! A response from David Lebovitz!!! As if I needed any more reasons to be a fan! I totally agree with his comments. Pronoun placement can drive even the sanest person to drink!! I love My Paris Kitchen. There are several recipes in there that I have made multiple times, in fact there is spatchcocked chicken marinating in the fridge as I write this. I also just enjoy reading the book when here is a quiet moment in the house. I love My Paris Kitchen. In reference to the French language errors, that is definitely on the shoulders of the editor. Speaking as someone who has studied French most of my life, I still have brain fades with accent marks and articles particularly when writing.The publisher should have taken the time to have a native speaker proof that part of the book. However the recipes have the excellence and precision found in all of Mr. Lebovitz's other work. Attential to detail should reign supreme whether writing a book or preparing a meal. So pleased that My Paris Kitchen is continuing! I can forgive French (and English) grammatical errors but not recipe mistakes. I think I'll wait for the second edition of Olives, Lemons & Za'atar. Hey... how about getting some reviewers with time enough to cook? As a weekend cook myself (too busy with my job, my kids, and uh, learning French) I appreciate this perspective. Very helpful review and I really appreciate you pointing out the mistakes and problems with the recipes. So few reviewers do and it's crucial info, especially with cookbooks. I agree that these kinds of problems are increasingly common these days, which is why I usually take cookbooks out of the library before I buy them. Only those I've vetted get me to plunk down my hard-earned cash. But I will definitely be checking out My Paris Kitchen after reading this. Well done. This result makes me happy! I haven't seen Olives, Lemons and Za'atar but I bought My Paris Kitchen before Christmas as a treat for myself and it's really been a treat for the whole family - we've loved every recipe cooked from it (that salted butter caramel choc mousse is to die for!). Funny thing happened on my way to buy My Paris Kitchen today.....I flipped through and found recipes for French fries, quiche, and other things I don't really need more recipes for. Then ended up with Thug Kitchen, which is rude, overly heavy on tofu, but has some recipes I will try. It would have been a fun wildcard! Saying that, I am sort of kicking myself for not ending up with Paris Kitchen, since I would love to read it too! Hooray for MPK. I"m a big fan of David's desserts, but will have to look out for his savory creations. There is nothing more frustrating than going through the trouble of following a recipe with lots of prep and having it not turn out. Recipe testing is so crucial! Great review! A review after my own heart! My Paris Kitchen is my latest Lebovitz addition and I love it! Since, after four years of High School French, taken thirty some-odd years ago, I have yet to meet a soul who speaks French...I forgive any blunders there. I wouldn't know the difference, BUT I do get the gist! I love both reviews!